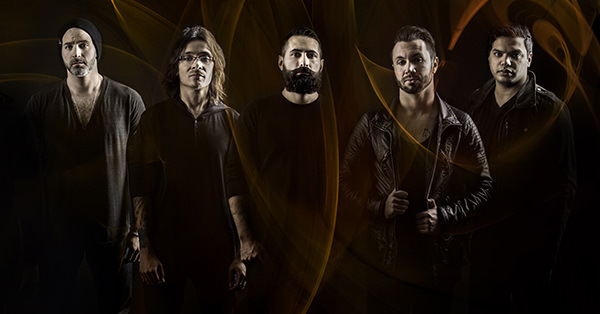 Periphery's Jake Bowen, Matt Halpern, Mark Holcomb, Misha Mansoor and Spencer Sotelo announce the formation of their own label, 3DOT Recordings. 3DOT will serve as the label home for all Periphery releases as well as side projects from the band members, as well as releases from non-Periphery artists. "We are excited to finally realize a dream that we have had for a while now. With the strong vision we all share, it makes sense to extend that perspective to the label side of things so we can have an outlet that is perfectly set up for our releases," says Mansoor. "This also gives us the opportunity to curate and nurture outside musical projects and bands that we truly love. 3DOT is a passion project first and foremost, and as a result, we can focus on genuinely supporting the bands we work with, thereby using our love of music, and not our profit margins, as our driving force. This is an exciting time for all of us at 3DOT, and we can't wait to share the music we believe in with all of you." 3DOT Recording's inaugural offering is Four Seconds Ago's The Vacancy. The Bowen/Mansoor electronic collaboration arrives Sept. 28, with the duo giving listeners an early preview to the 10-track release, streaming the song "Fadeaway." "Four Seconds Ago is a project Misha and I started as a way to work on electronic music together since we're both avid electronic music fans," explains Bowen. "Working together gave us the opportunity to explore music and arrangements that wouldn't necessarily fit in the scope of what Periphery does but takes advantage of the special chemistry Misha and I share."